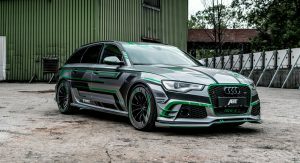 This is not the first time that ABT has worked their magic on the Audi RS6 Avant, but their latest (conceptual, for now) project is truly impressive. 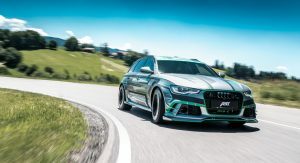 Building upon the latest iteration of Ingolstadt’s super-estate, which received the tuner’s in-house developed engine control unit and modified exhaust system, the RS6-E adds an electric motor in the transmission tunnel. 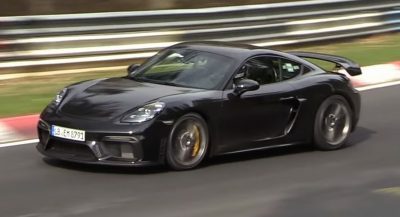 The latter brings “an extra boost to the rear axle at the press of a button”, as ABT explains, and unleashes a combined output of 1,018PS (1,004hp / 750kW) and 1,291Nm (952lb-ft) of torque. 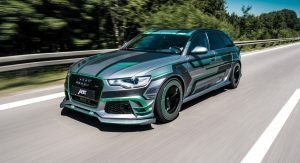 The extra muscle represents a 288PS (284hp / 212kW) increase over the previously tuned RS6 Avant, and 413PS (407hp / 304kW) more than the stock model. 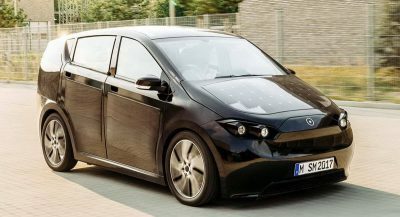 When the internal combustion engine works together with the electric motor, which is backed up by a 13.6kWh battery, all hell breaks loose. 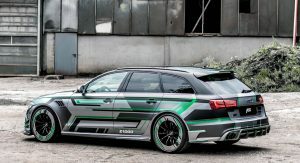 The Estate prototype takes as little as 3.3 seconds to cover the 0-100km/h (0-62mph) acceleration and can reach a top speed of 320km/h (199mph). 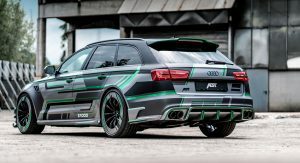 By comparison, without the electric motor, ABT’s RS6 is 0.4sec slower to 100km/h (62mph) and tops out at 250km/h (155mph). 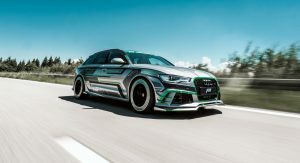 Making sure that the ABT RS6-E stands out wherever it goes are a number of exterior enhancements, including the film wrap that mimics the design of a printed circuit board, and an aerodynamics package. 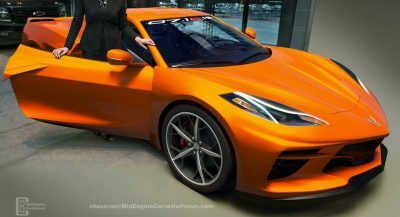 The latter adds front lip and skirt add-ons, fender insets, new side skirts, and rear spoiler. 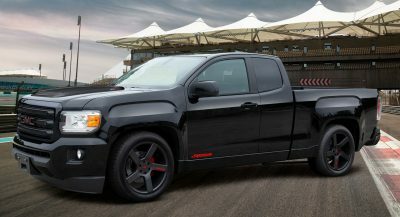 Lowering the height of the car are the H&R suspension springs, and the final exterior upgrade is the 21-inch wheel set. 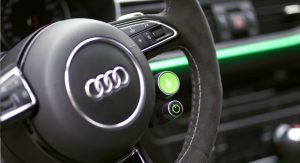 The heavily tuned Audi RS6 Avant prototype features several upgrades inside, too, such as the green accents, meant to highlight its hybrid power, RS6-E and ABT lettering embedded into the front seats, and, of course, the “magic button” demonstrated on film below. 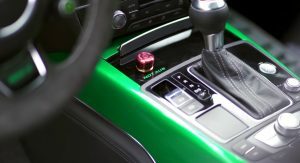 ABT did not say if and what plans it has for a production version of the hybrid tune. 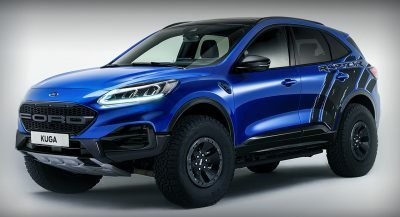 Ohhh they should bring this to limited production.